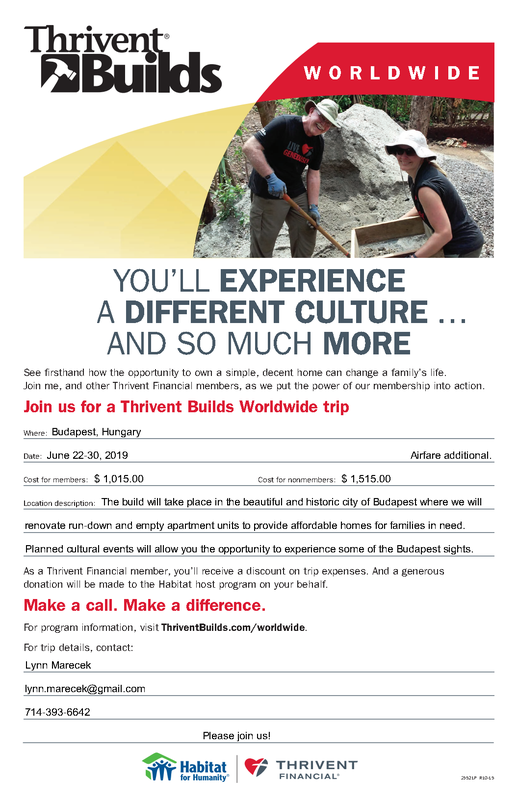 Join Lynn and Gerry Marecek (members of King of Glory Lutheran in Fountain Valley) as they lead a build team to the beautiful and historic city of Budapest, Hungary where the team will renovate municipality owned, run-down and vacant apartment buildings. You can make a world of difference for a family, by providing a “hand up” by working with them to build a simple, affordable, and decent home. Change the life of families in Hungary and your life will be changed as well. A wonderful team is coming together and there is a space for YOU on this team! Please join us!! !